Is belief in God epistemically justified? 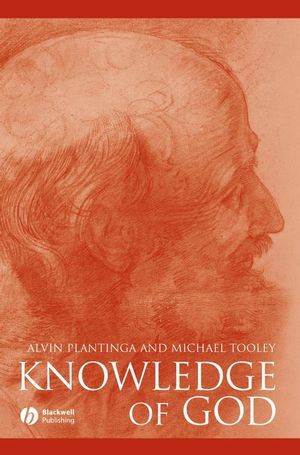 That's the question at the heart of this volume in the Great Debates in Philosophy series, with Alvin Plantinga and Michael Tooley each addressing this fundamental question with distinctive arguments from opposing perspectives. Alvin Plantinga is John A. O'Brien Professor of Philosophy at the University of Notre Dame. He is widely known for his work in epistemology and philosophy of religion, and is the author of Warranted Christian Belief (2000). He is also editor (with Matthew Davidson) of Essays in the Metaphysics of Modality (2003). Michael Tooley is Distinguished College Professor of Philosophy at the University of Colorado, Boulder. He is well known for his work in metaphysics and applied ethics, and is the author of Time, Tense, and Causation (1997) and editor of Metaphysics (5 volumes, 1999). 1 Against Naturalism (Alvin Plantinga). 2 Does God Exist? (Michael Tooley). 3 Reply to Tooley's Opening Statement (Alvin Plantinga). 4 Reply to Plantinga's Opening Statement (Michael Tooley). 5 Can Robots Think? Reply to Tooley's Second Statement (Alvin Plantinga). 6 Closing Statement and Response to Plantinga's Comments (Michael Tooley). the fundamental questions in philosophy: is belief in God epistemically justified?